No pro tip here, but I am just loving the way I managed the mess and kicked away the stress today. We have to present eight topics tomorrow. 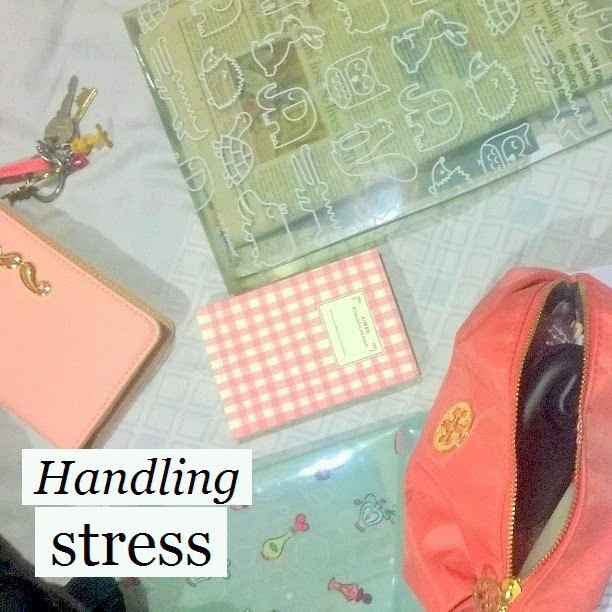 Though the topics are neither difficult nor tough to research, but still, there's always stress. Plus, as I write blog as well, I need more hours to accomplish all the to-dos of the day. Actually we have to present/explain eight terms to the class, so that it marks as one of the tasks for internals as well as we get to know all the 72 terms properly. Though sir hadn't asked us to make PPTs, I still made one. I'm going to try to explain as neatly as possible. I have made PPT and have kept the pen drive safely in my backpack. Some of the points need rectification or more of explanation. For that reason, I'm carrying Stylist magazine and Times of India. I have even stuck flags on the pages of the magazine. I have carried a small diary (in the picture), where I'll have the topics' names and nothing else. I'll require that to just glance the topics' name, and not because I might forget tomorrow. Apart from presentation, we have University form-filling tomorrow. So for that matter, we require attested photo copies of mark sheets, photograph, original mark sheets and a black pen. It seems a petty task, but it isn't. I don't like to be clumsy while filling forms. I like to be well prepared. I went for attesting photo copies, and also took prints for a subject's notes. Actually we have to study those notes, print them, and carry them to college tomorrow. The bundle has 40 pages or so. And one interesting thing: I have brought a classmates' hard disk with me. There are many movies and TV shows inside. The work is mostly done, but I still have to copy few more movies. And what was so smart about handling today's mess? It's simple; preppy stationary. Always remember: when you are too messed up, always use your best stuff, without considering its price. As in, what can be better than using it in crisis?